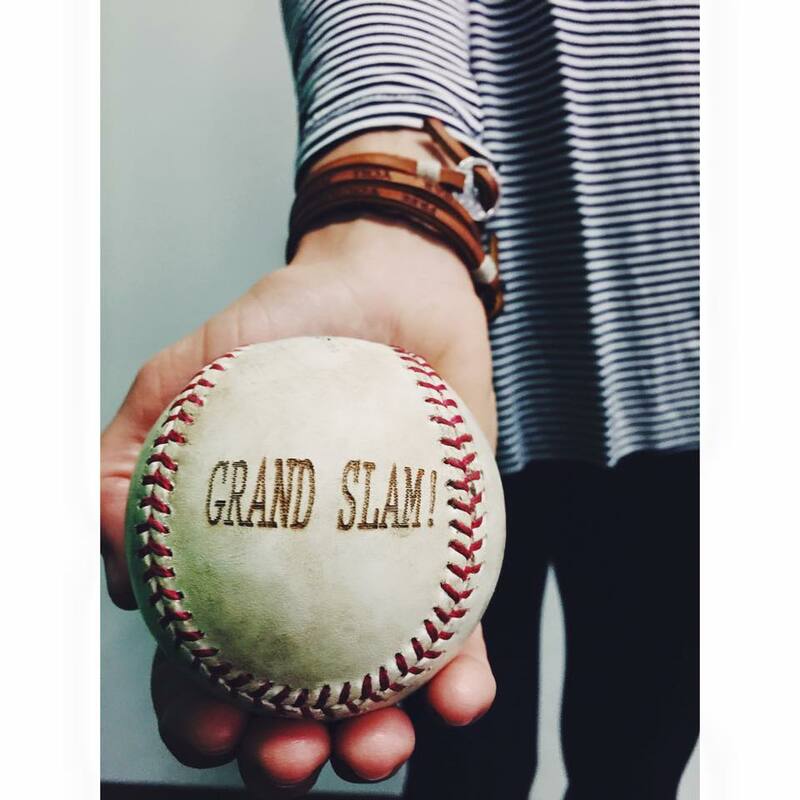 Two local sisters teamed up to turn a part of America’s favorite pastime into fashionable bracelets for men and women. Learn more about this homerun idea. Alexis Rosenbaum and her sister Hannah King, founders of Baseball Lacelets. Cincy Chic: What is Baseball Lacelets? 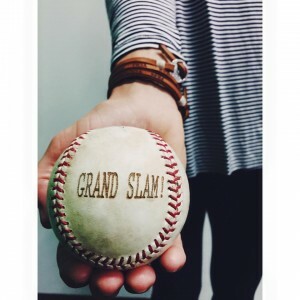 Alexis Rosenbaum, Co-owner of Baseball Lacelets: Hannah King and I founded Baseball Lacelets in February 2014, to produce customized leather wrap bracelets made from the lacing in baseball gloves for men and women. Using replacement baseball glove lace from a U.S.-based tannery, Hannah and I cut the lacing to size before securing a tri-buckle closure to the leather. Using a laser engraver, each bracelet can be customized to fit a consumer’s request. Cincy Chic: What’s the inspiration behind Baseball Lacelets? 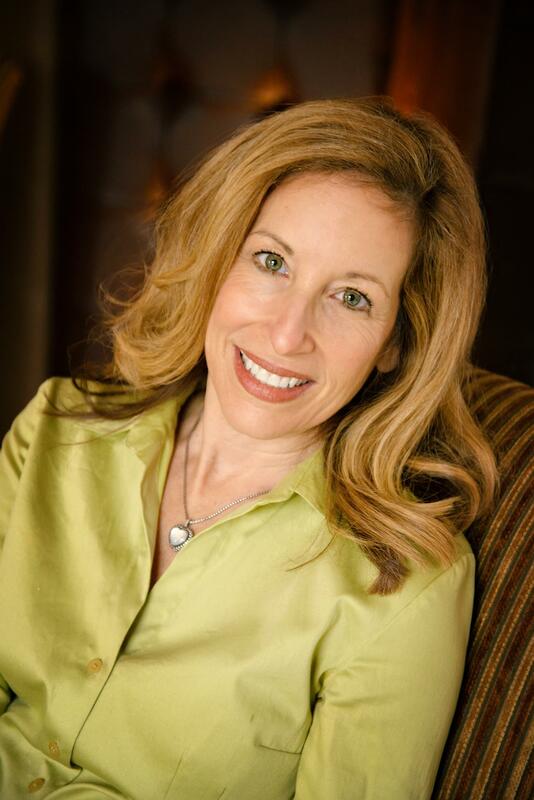 Rosenbaum: In 2013, I was feeling lost professionally and turned to my husband for advice. My husband, Danny, a baseball pitcher for the Boston Red Sox, tossed a plastic bag of loose baseball glove lace at me and said “do something with this!” For two months, we took the loose lace and worked on bracelets to give to family members as holiday presents, even ordering a stamp kit off Ebay and teaching ourselves to stamp quotes onto the leather. When the bracelet closure became a stumbling block, Hannah entered the picture. The rest, as they say, is history. Cincy Chic: Who’s behind Baseball Lacelets? 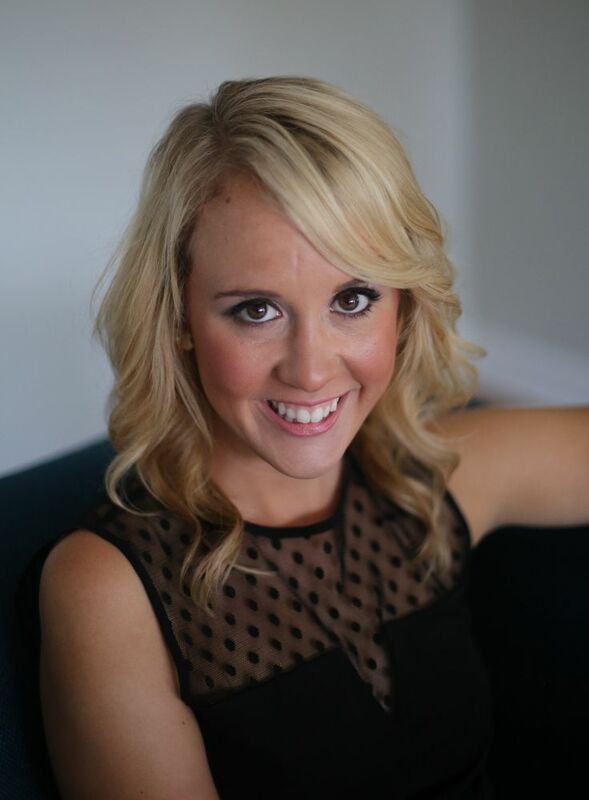 Rosenbaum: My sister Hannah King and I are behind the business as well as the recent addition of our third sister, Kelsey King, who is assisting us daily. Cincy Chic: How much does a lacelet cost? Rosenbaum: Our lacelets are $25 and are completely customizable to fit your wants and needs. The best part about buying right now is that if you shop our Kickstarter and support our next adventure, you can grab one for only $20 each or 6 for $100. An example of a Baseball Lacelet. 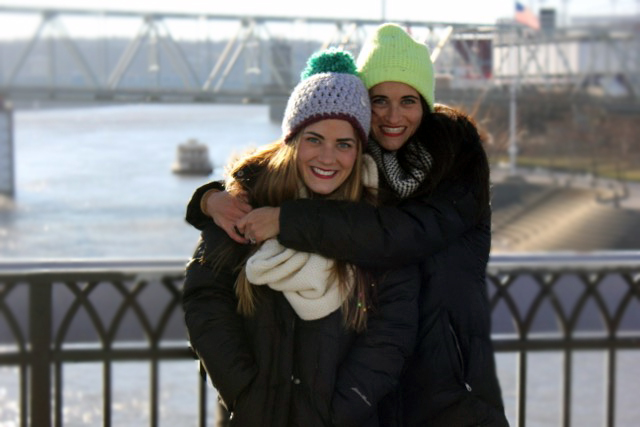 Cincy Chic: Tell us more about your Kickstarter campaign! Rosenbaum: Of course! To cover the cost of our own laser engraver and rental space, we have introduced our Baseball Lacelets to Kickstarter with a goal of $18,000 in funding. Kickstarter is a new way to fund creative projects. It’s a home for everything from films, games and music to art, design and technology. Kickstarter is full of projects big and small that are brought to life through the direct support of people like you. In 2014, we made sure our customers were supplied with the freedom of making each Lacelet their own. To secure this part of our brand, we had to go from hand stamping each letter onto each Lacelet into developing a production process that was centered around laser engraving. Today, we rent our laser engraver at a membership workshop for a monthly fee, which gave us the ability to learn the equipment and software we use before making the large investment in purchasing our very own laser engraver; however, our current manufacturing setting is not conducive to further business growth. After a year of exploding growth, we have greatly outgrown the rented equipment and the lack of space that it comes with. In 2015, we’re chasing independence, our own equipment and even more storytelling. Lacelets, along with other incentives, can now be ordered by backing our project and those who order can expect to receive their reward no later than May 2015. In order for Baseball Lacelets to reach more wrists, we need to meet or exceed our Kickstarter goal by Tuesday, March 31. If the project goal is not met, no incentives will be awarded. Cincy Chic: Is there anything new on the horizon for Baseball Lacelets? Rosenbaum: We are really excited about the opportunities that are coming our way and even more excited about a few new products we have been designing. Renting the laser engraver gives us very limited time to explore new products so it has taken us some time to really fine tune the route we wanted to take with our first new product line we are launching all month. Last week we released a Lacelet Keychain that still holds true to allowing our customer to customize the baseball glove lace, but now in the form of a keychain. We are really excited about providing a product for our non-jewelry wearing followers who love our brand, but aren’t interested in bracelets. The keychain is the first of many new items to come at Baseball Lacelets! Cincy Chic: Where can readers go to learn more or support Baseball Lacelets? Rosenbaum: Readers can check us out on Kickstarter. I have to admit, our video is pretty awesome! For more information, visit www.baseballlacelet.com or connect with us via Instagram, Facebook or Twitter. It’s easy to take things (and people) for granted. So, how can we change this negative habit? Our life coach columnist has three simple steps. I got up this morning and realized that we had “sprung ahead” and it was now one hour later than I assumed. I began the arduous task of trying to change every single clock in the house. I went downstairs to eat my breakfast and noticed that the dishwasher had run out of any extra space. It was filled haphazardly and completely jam-packed. Accepting that I needed to run it, I sighed and finally pulled out the detergent, starting it up. Of course, I thought. There’s always one more thing for me to do when I’m feeling so tired! I went to throw something in the trash and realized that it was full and needed to be taken out. I still had clothes in the dryer and another hamper full of whites to go. I began to feel overwhelmed with the number of responsibilities on my list. And then I stopped and reflected on my situation. These were all the responsibilities that my husband usually takes care of on a consistent basis and he had been gone for the last 6 days. These tasks usually just get completed and I don’t even have to think about it. Is it possible that I don’t realize how good I have it? Maybe I don’t tell him enough how much I appreciate everything he does? It doesn’t matter if we’re talking about a situation with our family, friends or in the workplace. It’s all the same. An article by Tony Schwartz in the Harvard Business Review illustrates this feeling perfectly: A worldwide study conducted by Towers Watson revealed that engagement in the workplace is driven by whether or not workers feel that their managers are genuinely interested in their well being and also whether they feel appreciated for their work. 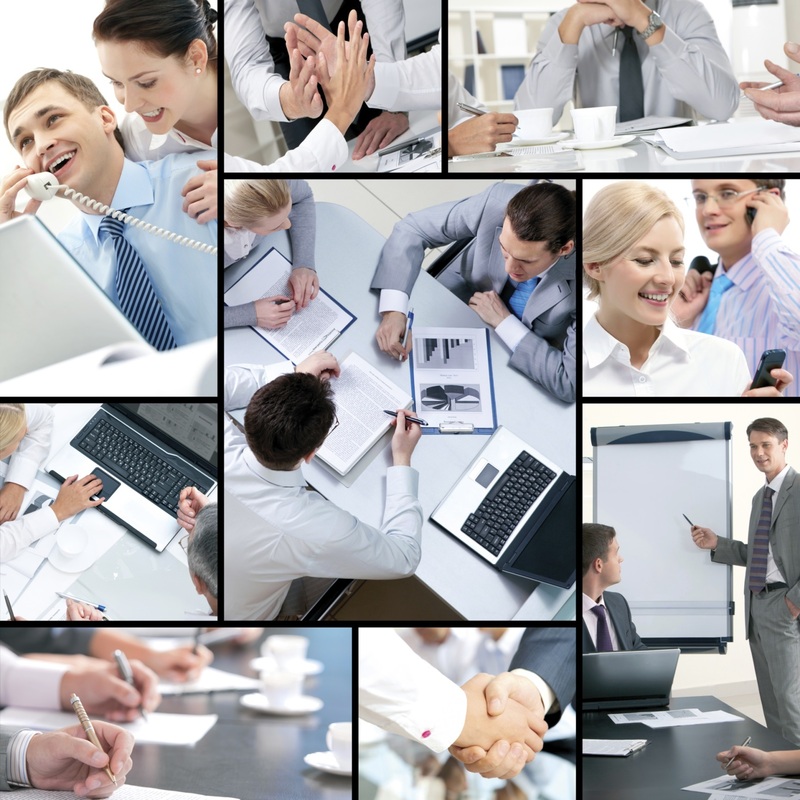 The study revealed that 40% of workers today felt engaged. So why is it so difficult for us to show gratitude and appreciation for others in the workplace and at home? Whether we like it or not, we easily fall into the pattern of taking things for granted. So, how can we change this negative habit? The first step lies in acknowledging your own actions. Make a pact to see the world through new eyes. Take a step back at work and at home, really paying attention to what is going on around you. See all the little things that somehow get completed without you realizing it. The truth is that you can get so caught up in your own agendas, responsibilities, and issues that you can miss what’s right in front you. Do an inventory of where you might need to improve your appreciation skills. Showing appreciation gets easier the more you do it. You know how the more you workout the stronger you get? The stronger you get, the easier exercising becomes. Showing gratitude for others is the same— it’s a muscle that you need to exercise on a regular basis. If you continue to say “thank you” and show appreciation for others, the easier and more routine it becomes in your life. It’s a habit like everything else. I don’t believe in Hallmark holidays like Sweetest Day or Administrative Assistant day. In my opinion, this just seems like a forced appreciation day. It doesn’t feel genuine. If you really want to show your appreciation, demonstrate your gratitude when they least expect it. Do it on a consistent basis when it is deserved. This is when it will mean the most. I encourage you to start your new appreciation efforts today. Look around and say “thank you” to someone that makes your life easier, without expecting anything in return. Our Editor in Chic shares a letter to her daughter about the lessons that running - and not running - has taught her through the years. You know, that thing that makes your legs scream for mercy, pores spew sweat, and lungs strain for air? Yeah, do more of that. Sounds crazy, right? 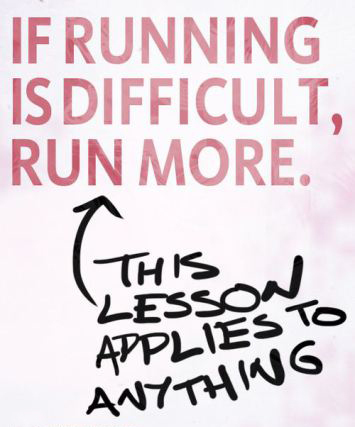 Well, the thing is, the more you run, the better you get at it. It feels difficult at first – if not impossible – but the more you do it, the easier it becomes, and the more you can accomplish. I’ve been running since I was really young. We lived in the country and it was a way for me to explore. Not only my surroundings, but also my capabilities. I was always so proud to come home and tell my parents how far I went on a run. I eventually ran track and cross country through middle and high school. Then in college, I ran my first marathon. It was somewhat of an accident how it happened though, and it wasn’t pretty, but I did it. It all started when three friends and I decided to run a marathon relay. The race was broken up into four parts where each runner did about six miles each, and I was assigned to the first leg of the race. 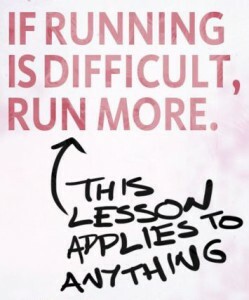 I trained a little harder for it than I should have because I didn’t want to run too slow and disappoint my teammates. So, come race day, I was interested to see how far I could run. I decided I’d just keep running until I couldn’t run any more and then I’d walk the rest of the course. BANG! The race began, adrenaline was high, and I focused on running those first six miles hard for my teammates! Before I knew it, my six miles were up and I had tagged my friend to start her leg. I kept running as planned and figured it wouldn’t be long before I puttered out. All the sudden, I was passing mile marker 13 and was already halfway through the marathon! I couldn’t believe I had just run a half marathon. At this point, I was definitely feeling the pain, but I figured if I had run half, I could run the other half (made sense at the time). At mile marker 20, with six miles left in the course, I was feeling really rough, but I told myself this was the final leg and I was on the home stretch. Four and a half hours after starting what began as just a six mile race, I was beginning mile 26. My body felt like it was stuck in quick sand and everything hurt, but everyone was cheering for the runners and I couldn’t stop on the last mile! I remember being in tears – happy, so incredibly proud of me tears – as I crossed the finish line, frantically looking for a place to collapse and rest. And rest I did. I couldn’t walk for the next few days, I lost both of my big toe nails, and endured lots of other unmentionables. But I couldn’t have been happier. I ran two more marathons (actually training for them) and lots of other 5Ks and 15Ks in the years that followed. I liked the structure that training gave me; it gave me a goal to work toward, rather than just working out. It became less of a workout and more of a hobby. Just something I always did. A big part of my life. It was the one thing I could do at the end of the day to truly wind down; the one thing that would get my blood pumping in the morning; the one thing that would make me close my laptop and take a mental break from everything for a while. When we began infertility treatments, my doctor told me to stop any strenuous activity and relax. He didn’t have to tell me twice. I completely stopped running that day, and for the past two years, I didn’t do anything more than a brisk walk. Even that was on a rare day because I was scared of a high heart rate jeopardizing my treatment results or the pregnancy once I did get pregnant. About a month after you were born, I remember trying to run down our driveway to get the mail because it was raining, and I was completely shocked with how bizarre it felt. Not only was I winded by the time I reached the end of our drive, but I felt like someone had rearranged all the muscles in my body and it just didn’t work the same any more. Something that had become so second nature to me was now so foreign and unpleasant. I wondered if I’d ever be able to run again. It was such a big part of my life before, and it made me sad to see it slipping away. So, I decided to do something about it. I got a workout DVD and had to start on Level 1 doing the modified versions. I was mortified that I – a former marathon runner – was that weak, but I knew I had to start somewhere. Eventually, I was able to do Level 1 without the modifications, and move up to Level 2, then 3. We joined a gym a couple months ago, and I started walking an incline with a short run at the end. I did five minutes at first, and eventually got up to doing a 10 minute run at the end of a walk. Then yesterday happened. It was a gorgeous, blue sky, crisp air, Spring-like day. As I sipped my coffee looking out the window, I thought “Today would be a great day for a run.” It’s a thought I’ve had often over the past two years, but always put it back on the shelf because I wasn’t allowed to run. But yesterday I didn’t shelve it. I decided to do what I did many years ago and just run. See how far I could go. Surprise myself. So, I put on my running shoes and headed out that door figuring I’d get winded after a few minutes. But I didn’t. I passed the spot where I usually walked to. Then, I passed the spot I had gone on my longest walk to last year. I saw a road in the distance and thought “See if you can go that far.” And then I did. I couldn’t believe it. Once I reached my goal destination, I turned around and headed home, unsure if I’d be able to continue running the whole way back. But I figured I’d try – I had run the first half, why not the second, right? After running non-stop the entire time, going about three miles total, I ran down our driveway cheering “I did it! I did it! I did it!” All the way into the house – I couldn’t wait to tell Pete. He’s been “running” is own race lately – making similar progress – in his battle with RA, and all his arthritis-related surgeries. While recovery hurts, he just keeps at it, and it hurts a little less the next time because he’s stronger. He’s now able to do things he hasn’t been able to do in months, and he’s slowly but surely getting his mobility back. So, keep that in mind, no matter what your race is, or where you’re headed: “If running is difficult, run more.” You might just surprise yourself. Our marketing guru explains the three things that build the strongest foundation of repeat customers and how CRM software can help. When your company starts to grow, there is going to be a point where you may feel like you are losing control of your customer base. Each day you will be adding new customers and your marketing efforts will be creating new prospects faster than you can count. It is all very exciting as your company keeps moving towards its revenue goals, but it can also be intimidating. A growing company relies on a strong foundation of repeat customers to generate reliable revenue. If your sales, customer service and marketing professionals do not have a cohesive way to track important customer information, it may appear to your customers that your company simply does not care. That is why investing in CRM software is critical to your company’s future success. 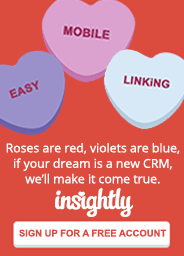 The busier your company gets, the more you need good CRM software. Good CRM software allows you to collect every piece of information you need to develop effective client programs that retain revenue. You can streamline any of that information into customized reports that allow your sales and marketing professionals to develop ways to maximize revenue and keep your company growing. As a company grows, it struggles to keep up with changes to its existing customer base as well as cataloging prospects. It is critical that your company keep its records up to date on customer contact information, changes in customer product preference, and any personal information that allows you to maintain a strong bond with your clients. This data helps with everything from product development to customer care. Good CRM software makes it easy to add as many prospects as you like and keep track of all of your existing customers and any changes associated with them. 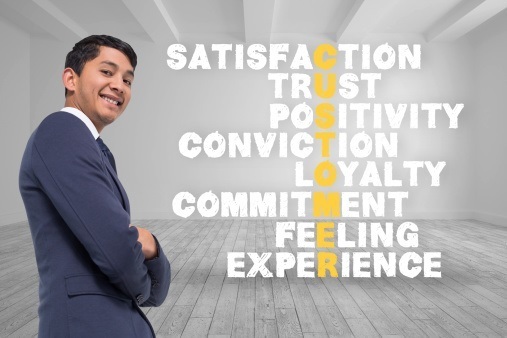 Your customer service department can make notes on any customer maintenance calls that are taken each day and the sales group can keep detailed records on product preferences and product suggestions that customers make. Good CRM software lets a growing company keep the focus on the customer. Two of the fastest ways to upset your customers is to send them marketing information they do not want or to forget to utilize their preferences when placing orders. Updated marketing information is critical in maintaining strong bonds with existing clients, while developing effective ways of convincing new clients to do their business with your company. With good CRM software, you can keep all of your marketing information up to date and make sure that all of your interactions with your clients are productive. Another benefit to updating your marketing information is that you can track consumer trends that will affect future product developments and advertising campaigns. This is vital in being able to create accurate revenue projections and developing long-term plans that will keep your company growing. Insightly has the type of CRM software your company needs to keep your customer base organized and help you in developing effective marketing campaigns. With the different products offered by Insightly, you will be able to take on any size client base and track as many prospects as you want as your business grows. George N Root III is a professional freelance writer who has expertise in topics such as Internet marketing, business, advertising and personal finance. One local lady launched her start-up, One Fine Day, by renting out the very decor pieces she picked out for her wedding day. See how it’s grown into a booming styling and vintage décor business that adds the perfect touch to one fine day in your life. Lindsay Lescoe isn’t your typical bride. 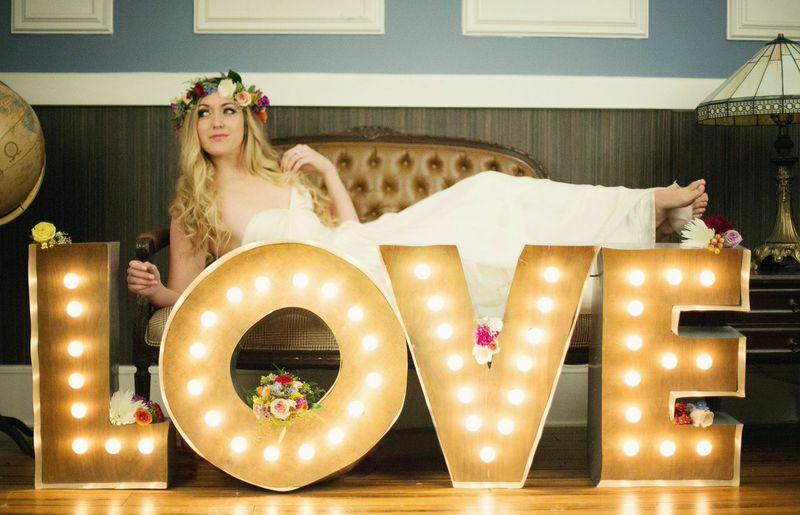 When it came to planning her wedding, she did it all on her own. 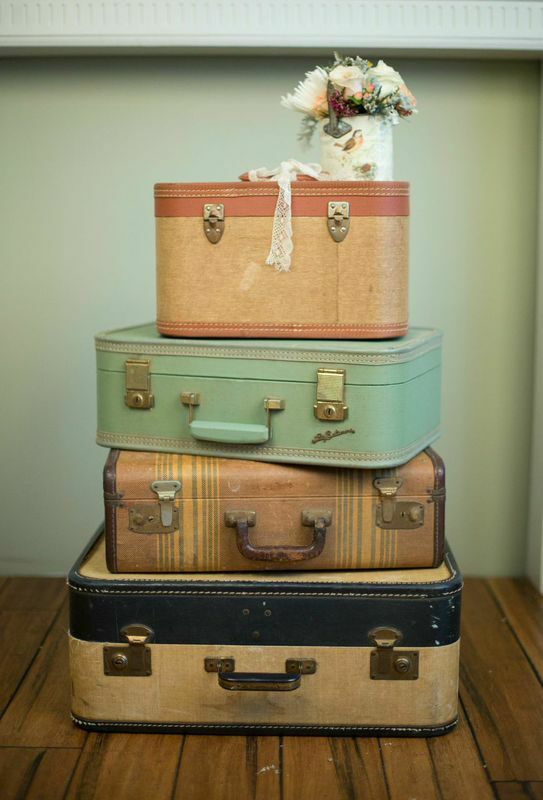 She spent 18 months procuring vintage and eclectic items that she evetually incorporated into her 2014 wedding. When it was time for Lescoe and her fiancé to have their engagement shoot, she wanted to use a Victorian couch outdoors in a field. However, she struggled to find anyone who could rent her a couch for one day to use as a prop. She says that she even took to Facebook, asking if anyone in her network had a Victorian couch she could borrow. The closest she came was a dealer who would have charged her thousands of dollars to borrow a couch for the day. Eventually, she found a Victorian couch in Louisville that she used as the focal point for a specialty lounge area in her wedding. In order to retrieve the piece, she had to borrow a truck, drive to Louisville on her own, climb in the truck bed and strap down the couch to the best of her ability before making the trek back to Cincinnati. 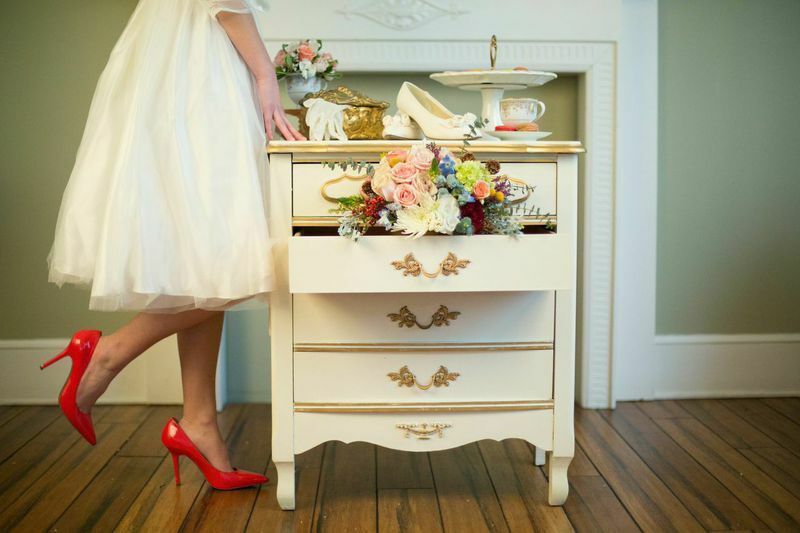 She says that she ended up spending several hours on one task that she could have devoted to another area of her wedding. Although her mother already owned much of the furniture that she needed to decorate and furnish her wedding, there were still several pieces yet to be found, including the now-infamous Victorian couch. “Rounding up all of the special touches like hundreds of mismatched China plates and unique tabletop accents from a wide variety of places took a lot of time, energy and money – not to mention all of my basement storage space,” she says. It’s because of this that she decided to launch the business One Fine Day, to help make other big day dreams come true. 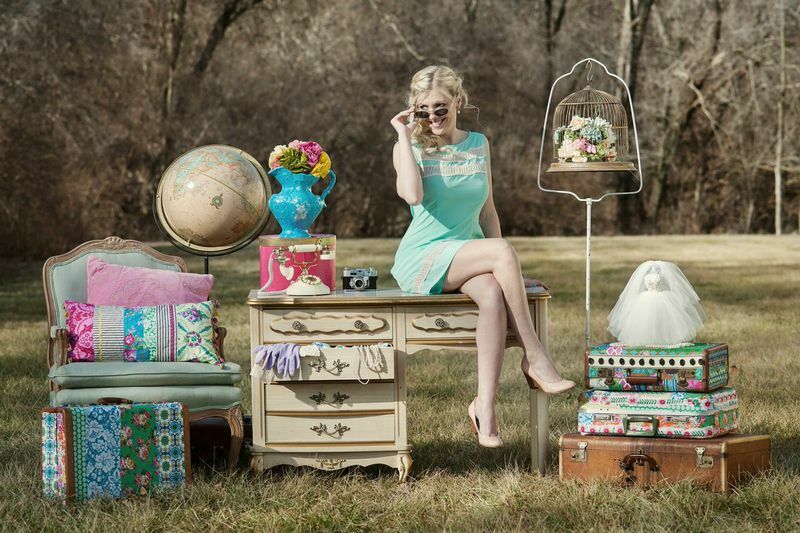 “Those experiences were very telling of the need that existed in the Cincinnati area for a rental and styling resource to help bring event visions to life and save precious time, money, energy and sanity by offering access to a wide variety of unique furniture and props for special events and photo shoots,” Lescoe says. 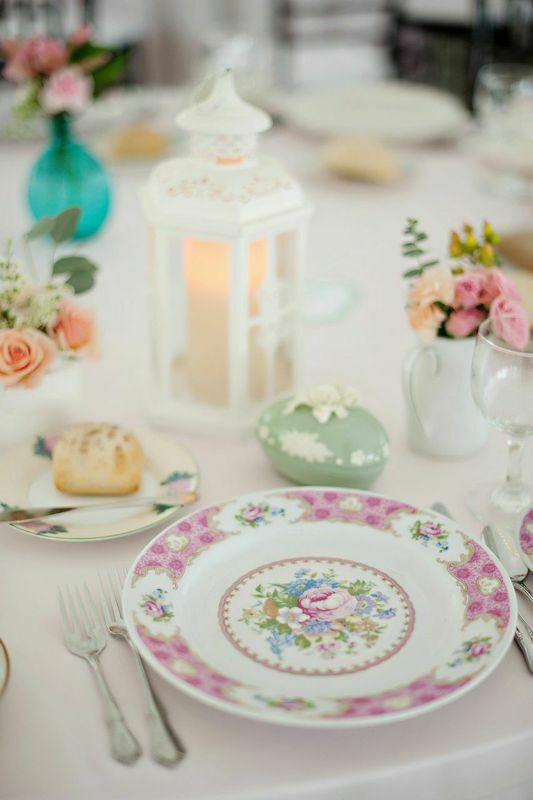 This local event rental and styling resource specializes in renting out vintage and eclectic décor for weddings, events, photo shoots and any other special occasion. “We help clients bring their Pinterest boards to life, and parter with them to create an atmosphere that truly reflects their personal taste and style, full of wow-worthy details for their guests, Lescoe says. 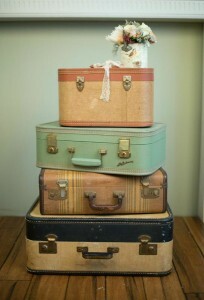 With One Fine Day, you’ll find an extensive, ever-evolving collection of décor available to rent. From large furniture pieces such as dressers, sofas and tables to smaller accents and props, Lescoe says that each piece is hand-selected for its originality and charm. She adds that One fine Day also offers custom-made items fabricated locally by a network of artisans in the area. There are several services Lescoe and One Fine Day offer clients including furniture, prop and tabletop décor rentals; styling services; custom crafting and fabrication; event rental and photo shoot space; personal shopping and custom search services; and delivery, set-up and breakdown services. With furniture rentals, you’ll find that inventory is available for any occasion or photo shoot. With styling services, clients receive assistance incorporating all of the pieces they’ve chosen together in order to create a styled scene that matches their desired look. One of Lescoe’s favorite things about her new-found profession is that when a client selects One Fine Day, she’s given the opportunity to help make someone’s special occasion truly unique, memorable and one-of-a-kind using pieces and designs that complement their personality and aesthetic. “It is also personally gratifying to know that I can save someone a lot of time, stress, frustration and money by providing them with the décor and props they need on a rental basis for their event, so they can turn their attention to one of the other things on their ‘to-do’ list,” says Lescoe. Another perk to doing what she does is the history that’s behind the pieces in her inventory. More specifically, she loves the pieces that are from many years ago, boast quality workmanship and are hand-painted. She says that rather than letting those pieces be stored in an attic or basement, she enjoys being able to bring them out to the public so they can be admired and appreciated time and time again. As someone with a strong background in arts, and as an entrepreneur, Lescoe says she enjoys partnering with local artists to handcraft custom items clients need. “Leveraging our network of local artisans and crafters not only supports our local economy, but also alleviates the need for someone to go through the steps of ordering something online and having it shipped from across the country when the same item could be crafted right here in town,” she says. There are many things on the horizon at One Fine Day, according to Lescoe. First, she says, they’re preparing to open a new event rental space on the first floor of a historic row house in Northern Kentucky. She adds that the space will be a great location for parties, showers, meetings and photo shoots. It will be fully furnished with plenty of pieces, which she’s currently in the process of selecting. Additionally, One Fine Day is also preparing to move into a new warehouse space located in Bellevue, Kentucky, and minutes away from the event rental space. “The warehouse will be where our inventory is housed and maintained, and will also have space available to rent for photo shoots – including a private area for boudoir sessions that will be beautifully furnished,” she says. In addition, on April 30 at Horseshoe Casino, Lescoe and One Fine Day will be helping out with the Women Helping Women fundraising gala called Light Up the Night. The theme of the event is Peace, Love and Understanding, so there will be plenty of ’70s-themes including flower power, peace signs, early ‘70s attire and tie-dye, so Lescoe is busy digging through thrift stores to create the perfect outfit. To learn more, visit Lescoe’s website, “like” One Fine Day on Facebook, send an email, call 513-400-6996 or watch the webcast below. We chat with the wedding videographers who turned their passion for storytelling into a profession. Read on to see wedding videography like you’ve never seen it before. If you ask Shane Pergrem what he does for a living, he’d say “I’m a Storyteller.” That’s because, even though he owns a video production business that specializes in wedding videography, he considers himself a Storyteller above all. Pergrem says he loves wedding videography the most because it’s an opportunity to capture the couple’s love story on film through their special day. 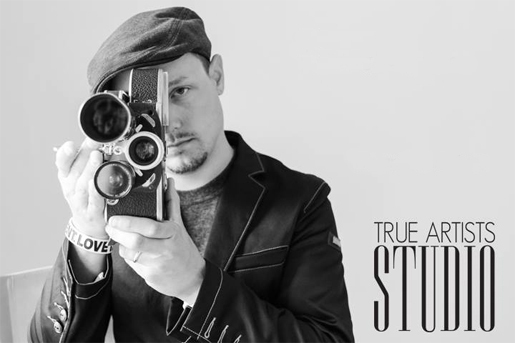 Contact True Artists Studio at 859.305.1547, video@trueartistsstudio.com, or visit online at www.trueartistsstudio.com. Watch the webcast below to learn more. 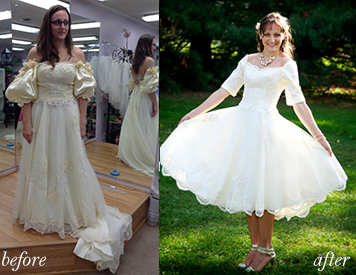 Many brides are digging out mom’s old wedding dress to make it their own. Learn about a local expert who specializes in bridal alterations - from adding a simple “something blue” to re-fashioning mom’s dress just for you. 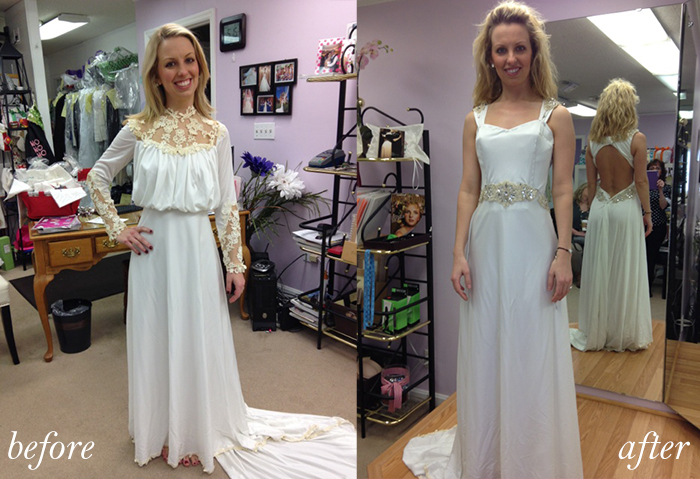 Something old, something new, something borrowed, something blue… for some local brides, their wedding dress helps them check off all of the above. Alterations by Toni, located in downtown Madeira, is a large shop with 12 experienced seamstresses on staff, each with their own area of expertise and more than 40 years of combined experience. They offer personalized fittings and boast the ability to tailor any garment. Alterations by Toni also offers a full line of bridal services in addition to alterations: veils, handmade garters, monogrammed robes and hankies, Spanx, ring bearer pillows, gifts for bridesmaids/groomsmen, storage until the wedding day and preservation of gown after the wedding. To learn more, visit www.alterationsbytoni.com or “like” them on Facebook. www.facebook.com/AlterationsByToni. There’s nothing quite like A Bride’s Mafia. Read on as two local brides explain how this bridal concierge helped them plan their big day — saving time, stress and money in the process. Jennifer Sweis isn’t like most girls. She never thought she’d get married, and because of that, she didn’t dream of plans or specific details. 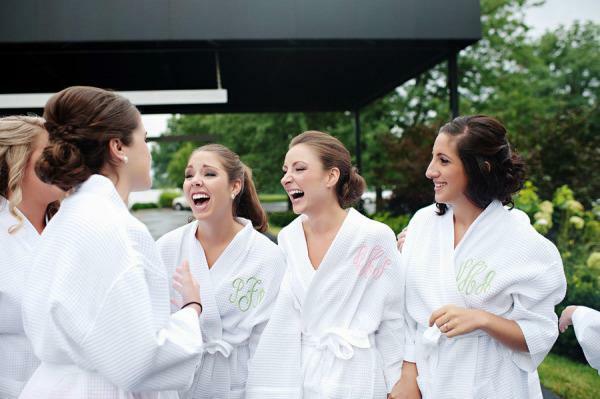 “I just knew I wanted to wear a wedding gown and I wanted my fiancé to be present,” she laughs. 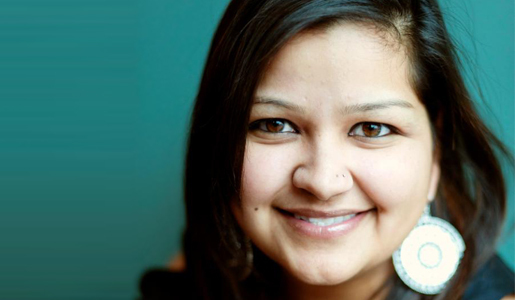 The Monday after she got engaged, she met with Nidhi Bedi, owner of A Bride’s Mafia for her complimentary consultation. After all decisions were made, Bedi, Sweis and her fiancé met with the vendors together as a “team meeting.” There, they discussed the specifics such as timelines, the overall look of the wedding, photos, colors, flowers, video, music and everything in between. The only thing Sweis says she would change about her experience is the rain that dried to dampen her day – not that it really mattered, because Bedi had it all under control. Sweis isn’t the only one who’s had a wonderful experience with A Bride’s Mafia. Mona Mislanker says that she initially heard of Bedi and A Bride’s Mafia through a friend who recently got married. “At first I wasn’t sure if I needed a planner, but then quickly realized that I was in over my head without one,” says Mislanker. On top of planning a wedding, she was also working 100-hour weeks. Since most of her working hours were spent outside of Cincinnati, Mislanker heavily relied on Nidhi and her team to help her navigate the logistics of her big day when she was unable to be there. The best part for Mislanker, though, was the ability to work with the best vendors in the city who made her feel like a million bucks, without actually spending it. Between the complimentary consultation and special offers she got from vendors by being a “Mafia” member, Mislanker says she was able to stretch her bridal budget much further. For Mislanker, she loved how Bedi and her team were there by her side for the entire four-day wedding weekend. “It not only felt like they were helping with the logistics, but were truly there for me to help me celebrate and enjoy my wedding,” she says. To learn more about A Bride’s Mafia, visit abridesmafia.com. Bella Rey Salon is hosting an upcoming event to focus on brows, makeup, skincare and anti-aging. Keep reading for all the brow-raising details. “I can’t even…” That’s what you’ll be saying when you see the beauty gurus work their magic at the upcoming “Eye Can’t Even” event. 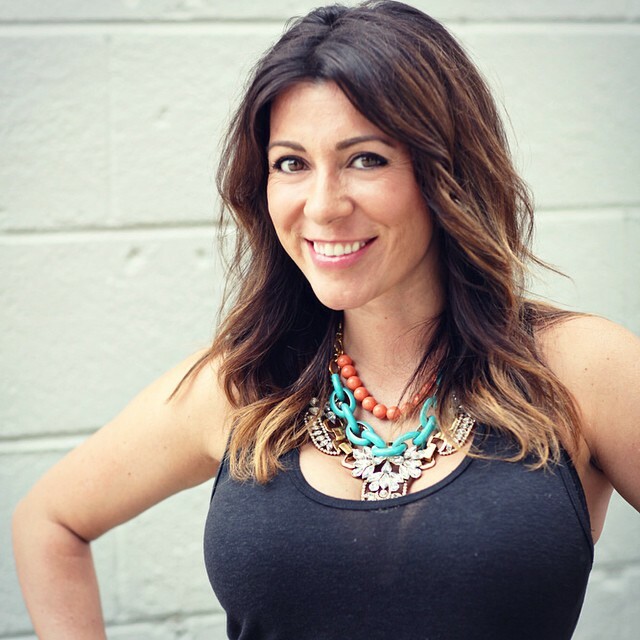 Amanda Arias, owner of Bella Rey Salon in Oakley, is hosting this Happy Hour and Beauty Bar to feature experts from her salon, Nancy Dawson of BRIDEface, and a select line of skincare. FACEing, the brand of makeup Dawson developed and launched, will be available to purchase, including brow tools used in Dawson’s lessons. Arias will have the entire Rodan + Fields line available for purchase at the event. In addition, there will be several giveaways and raffles, including sample and full sized products. The free event is on Friday March 13, from 6-8 p.m. and includes light food and beverages. To learn more, visit Bella Rey Salon on Facebook for the event link and more information including before and after pictures. 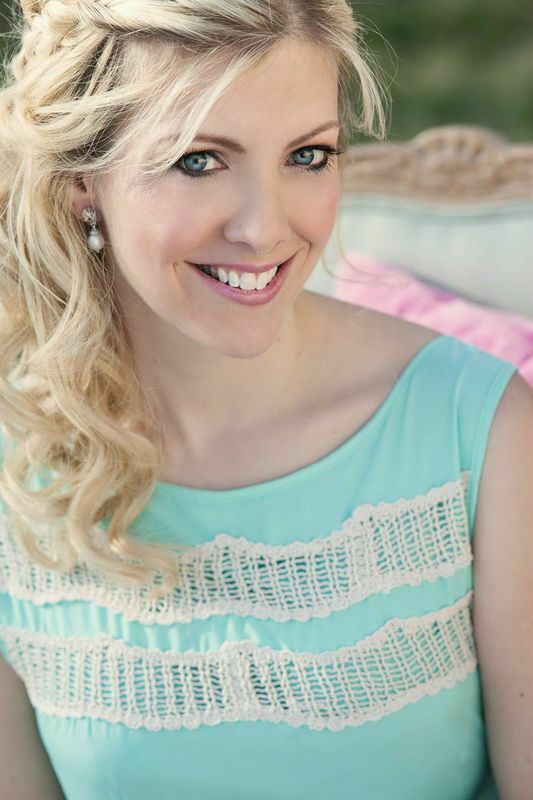 Learn about a local lady who launched a full-service event planning business, who specializes in weddings and also corporate planning. She remembers watching “Father of the Bride” like it was yesterday. 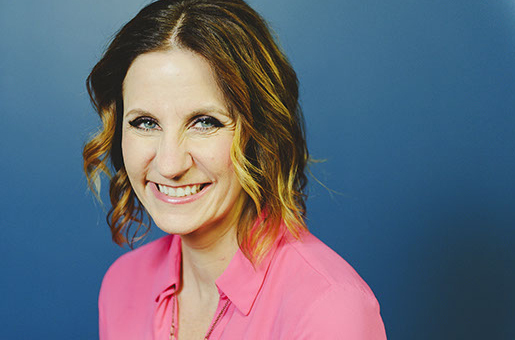 It was the first time Maura Bassman saw an event planner in action, and she knew immediately that’s what she wanted to do for a living. 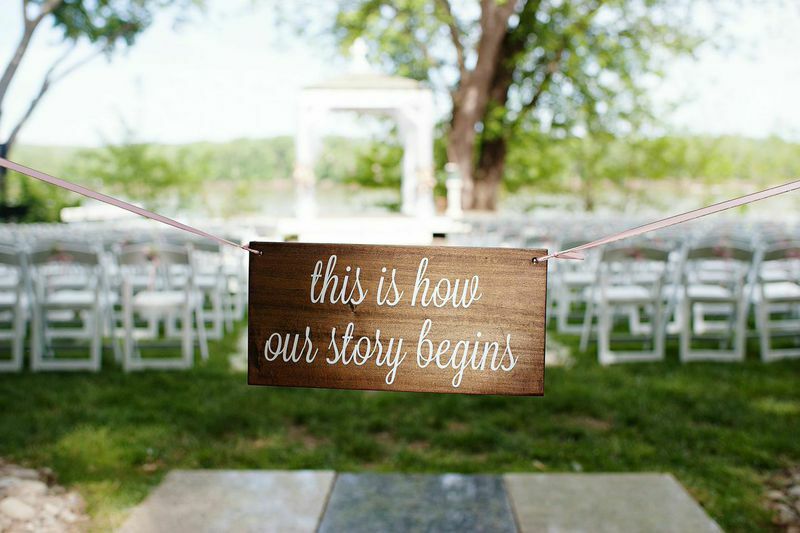 Today, Bassman is the owner of Cincy Weddings by Maura, which launched in October 2014. While weddings are her main focus, she also enjoys social and corporate planning. A Cincinnati transplant, Bassman moved here from West Virginia in 2005 and studied Entrepreneurial studies at Xavier University. During college, she conducted her co-op at March of Dimes and helped with the planning of large fundraising events, where she was able to really get experience in the planning industry. Then, after she graduated from Xavier, she worked as an event coordinator for a restaurant as well as two large Cincinnati wedding venues. To learn more, visit the Cincy Weddings by Maura website, visit her blog, or email info@cincyweddingsbymaura.com.